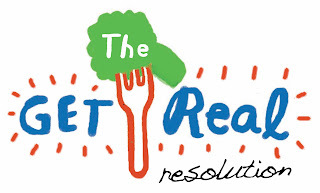 If you are joining us for the Get Real Resolution, great! If not, you can join the fun any time, even next December! But, you may not want to miss the activities and information during the resolution year. It's designed to be low-stress and family fun time. You can even pick and choose the activities you like and just do those. No judgments here. January's activity is an easy one. It's answering a few questions for each family member and then saving those answers to return to at the end of the resolution year. I thought I would go ahead and post mine in case it gives anyone thought-starters. 1. What do you hope your family gains by taking this challenge? 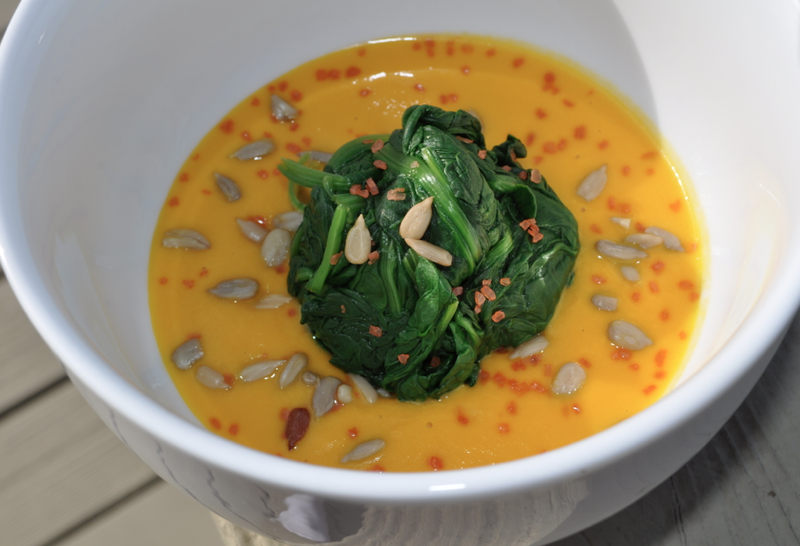 It sounds crazy given the book and all I do around healthy food, but I forget sometimes to make things FUN. With this blog, book and writing work, a full time job, kid, housework, gardening, cooking, activities going … my "fun level" can dip and I get into a rut of going through the motions to get by. I need a spark to regain the my energy and the fun aspect of a healthy food and lifestyle for our family. 2. What worries you most about the foods your kids will or won't eat and why? The growing influence of school foods, other kids, foods at events and activities, after-school programs are a tough competitor for my kid's food choices. It's like slaying a many-headed dragon. At times, I feel like we are losing ground that we worked so hard to gain with our kid's diet. 3. What's the biggest issue in our food system? That's a tough question. The whole system is broken and there are politics in place that are bigger than anyone imagines. What I can tackle is building a better path for my family and doing my part to help my local food system. I can advocate for change at that bigger level, and do, but I have to remember my daily choices count. What's on my mind right now is my growing angst over "The Kid's Menu" that same set of 5 options kids get with crayons and a coloring page at every single restaurant nearly. Apparently chicken nuggets are an international cuisine since they show up on menus from Mexican to Mediterranean. I see that menu as a symbol of the food marketing and targeting of our kids that comprises root cause of our childhood obesity epidemic. 4. When you were a kid, did your parents ever make you eat a food you hated? What was the food and what happened? Do you eat that food now? Yes! I was ten and was served a plate full of beef liver and onions. I was told to not leave the table until I ate it. I sat at the table for three hours. Long after the whole family was gone. I never ate it and chose to go to bed hungry. I eat a lot of "tip to tail" foods now, even beef heart tartare, braised tongue, pig ears and snout, etc. But I never have found a way I like beef liver. Chicken, duck and goose liver are good if they are cooked the right way. 5. What is your favorite food memory from when you were a kid? I loved the weekends when we would go to the strawberry patch and pick quart after quart of fresh berries. Together as a family, we made jam and preserves. 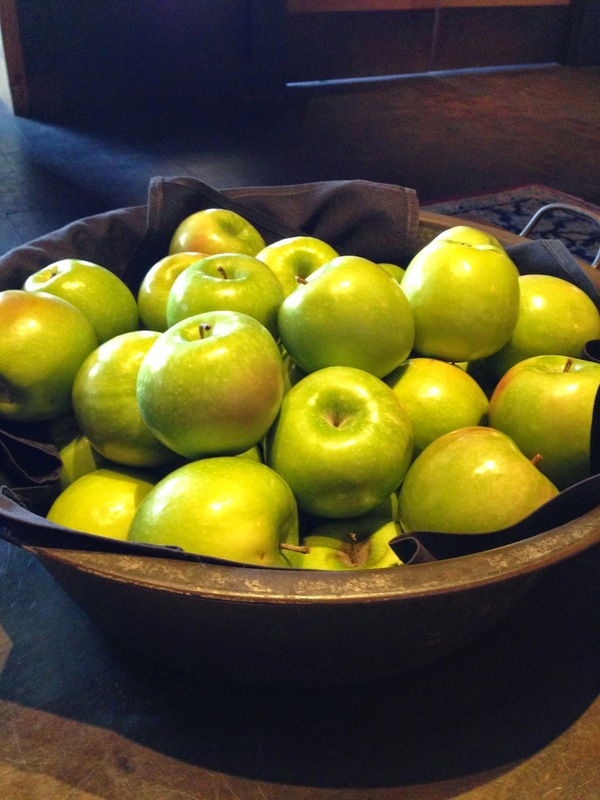 We would do this with apples and peaches as well. Because we were new to life in a rural community, having moved there when I was ten, the experience was remarkably different and memorable. My best food memories are the times when we were gardening or living the farm-to-table thing decades before it was cool. I can even recall crabbing with bacon on a string and fishing with my grandfather who lived on the Gulf of Mexico. It's always been about sourcing food directly for me, I guess. Other than that? My grandmother's homemade mashed potatoes she made with everything, of course! I'd love to hear your answers and your kids' answers to the January challenge! 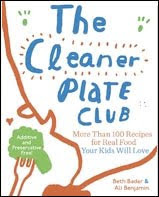 Please share here, or at The Cleaner Plate Club blog, our Facebook page, or on Edible Kansas City. This year, today in fact, marks a 12-month project I am working on with Edible Kansas City and all of you. It's called the "Get Real Resolution." I hope you'll join us in this no-fight, no-diet New Year journey to understand the why behind healthy food. Face it, we nag and our kids shut down. I had to implement a whole point and job card system to establish rules for chores and behaviors around here just to get past the day-to-day nagging! Kids just seem to need to figure things out hands-on for themselves. From this "learning" moment, the plan for the Get Real Resolution was born. I hope you'll join us for the fun!